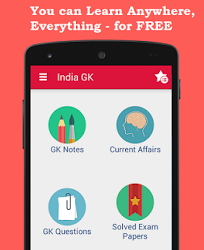 1st, 2nd December 2016 Current Affairs MCQs, Quiz, Questions: Current Affairs for December 2016, Daily Multiple Choice Questions (MCQs) for India GK, World GK and current affairs with Collection of daily objective type Question by www.Indiagk.net based on General Knowledge (GK) and General Science (GS) Questions for UPSC, State PSC, SSC, Police exam, Railway exam, SBI, Bank PO, IBPC, SSC, LDC, UDC, Army, Airforce, Navy, Coast Guard, Bank Clerk, TET and all entrance examination with current affairs News, Multiple Choice Questions (MCQs) available on Website www.IndiaGK.net and Android Apps with daily updates:. UNESCO includes ---- in Intangible Cultural Heritage list on 1st December 2016? Govt recently approves Inclusion of how many new Castes in Central OBC List? India will acquire 145 M777 ultralight howitzer guns from which country? Who becomes new King of Thailand on 1st December 2016? What is the name of rising cyclone in the Bay of Bengal that is barreling towards Tamil Nadu coast as on 1 December 2016?